Welcome to Warwick Student Cinema! Warwick Student Cinema is a nationally acclaimed, student run, professional standard cinema presented by the Warwick Film Society (aka FilmSoc). 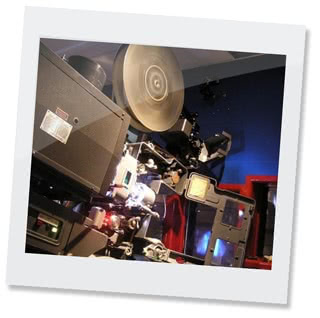 Using our industry standard 35mm, 70mm and digital equipment, we provide a top-quality cinema experience to the staff and students of the University of Warwick in Coventry, as well as warmly welcoming families and members of the general public. Have a look at our current schedule, or alternatively check out our news updates or ticket prices. As the largest and most well-known society on campus, we are active nearly every night of term! Why not get involved and join our volunteer crew, and learn the art of running a cinema, plus see all your films for free? Want free films for yourself and a guest? Old news items are now available in the News Archive section.